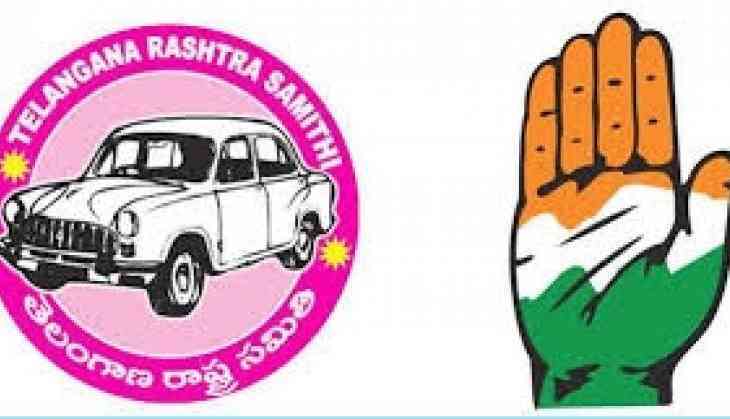 Located on the fringes of Hyderabad, Chevella parliamentary constituency in Telangana is a battleground where the TRS candidate is seeking to assert itself against Congress nominee, who quit the ruling party only a few months ago. Sitting MP Konda Vishweshwar Reddy, who was elected on a Telangana Rashtra Samithi (TRS) ticket in 2014, had joined the Congress ahead of assembly elections in December last year, citing alleged neglect of leaders who fought for Telangana in TRS. He is seeking re-election on a Congress ticket in the April 11 election in the state. Vishweshwar Reddy, an engineer and entrepreneur, has an illustrious background. He is a grandson of Konda Venkata Ranga Reddy, former deputy chief minister in undivided Andhra Pradesh, and son of Justice Konda Madhava Reddy, former chief justice of Andhra Pradesh and Maharashtra. He is a son-in-law of Pratap C Reddy, the founder and chairman of Apollo Hospitals. Vishweshwar Reddy's wife Sangita Reddy is the joint managing director of Apollo Hospitals. "Last time, five years ago, when I filed my nomination, I was just with my wife and two sons. "This time I had a sea of people accompanying me, including people from different corners of the constituency, Congress workers and leaders, that itself indicates the groundswell of support for me...," Vishweshwar Reddy said. However, it may not be a cakewalk for him as the TRS is determined to wrest the seat. The party is focused on winning 16 out of the total 17 Lok Sabha seats in this election to play a crucial role at the Centre. The party has fielded Ranjit Reddy, a successful entrepreneur who is a new entrant into electoral politics. Ranjit Reddy asserted that the people would vote for the TRS in view of the state government's good work in development. "Let's not talk about sitting MP. Because, the seat was held by TRS party... No one would be stronger than the party. The contest is between two parties. The Congress is nowhere near the TRS. Definitely, we have a difference in party's performance also. We have seen in the assembly elections and it will be repeated again," he told PTI. He was referring to the spectacular success of the TRS in the assembly elections, winning 88 among the total 119 assembly seats. His promises include completion of Palamuru-Ranga Reddy lift irrigation project, favourable decision on the issue of zones under Chevella with regard to government employment and promotion of tourism in the constituency. Ranjit Reddy said though he is contesting for the first time, he has been with the TRS since 2004. BJP nominee B Janardhan Reddy, a close relative of party MP and former Union minister Bandaru Dattatreya, is trying to put up a keen fight, on the back of Prime Minister Narendra Modi's popularity. "Youths are favourably inclined (towards the BJP) after surgical strikes. Crop assistance to farmers, income tax exemption upto Rs five lakh, 10 per cent reservation to economically weaker sections (have made people inclined towards BJP)...," Janardhan Reddy told PTI. Maheswaram, Rajendranagar, Serilingampally, Chevella (SC), Pargi, Vicarabad (SC) and Tandur are the assembly segments under Chevella parliamentary constituency. The total number of electors in the constituency is 24,42,600, including 12,64,111 male voters and 11,78,259 female voters. Former minister and influential TRS leader P Mahender Reddy is working hard for the victory of Ranjit Reddy. The Congress has suffered a setback in the constituency as former minister and sitting MLA (Maheswaram) P Sabita Indra Reddy had announced her decision to quit the party and join the TRS. Tandur is the only assembly segment under Chevella Lok Sabha constituency where there is a Congress MLA (Rohith Reddy). However, Vishweshwar Reddy is putting up a spirited campaign to wrest the seat once again. He has reached out to the CPI for support. The CPI was an alliance partner of the Congress in the assembly polls. In the 2014 Lok Sabha elections, Vishweshwar Reddy defeated P Kartik Reddy (Congress) by a margin of over 73,000 votes. Congress president Rahul Gandhi had kicked off the party's campaign in Telangana last month with a public meeting addressed at Shamshabad under Chevella Lok Sabha constituency. TRS working president K T Rama Rao has held a roadshow in support of his party's nominee. TRS president and Chief Minister K Chandrasekhar Rao would address a public meeting at Vikarabad under Chevella on Apirl 8, the penultimate day for campaigning in the state. Telangana goes to polls in the first phase on April 11.